Well how’s this for starting your Tuesday off right? 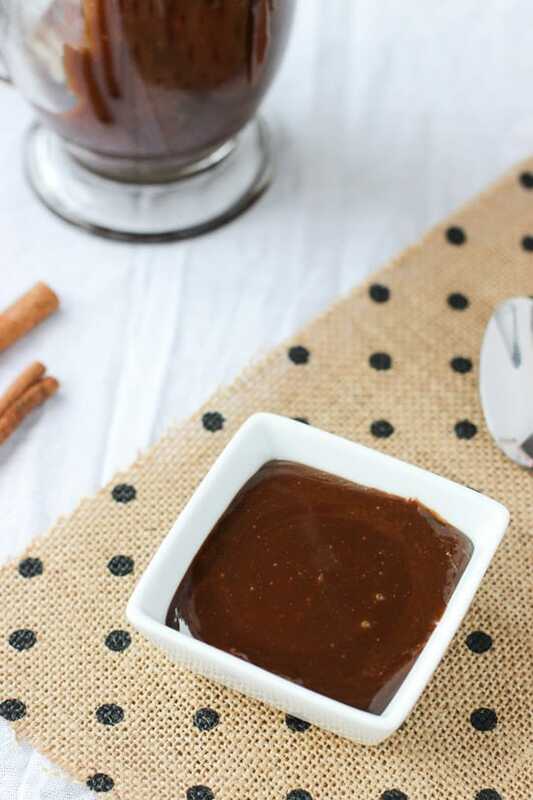 Caramel sauce loaded with deep dark brown sugar flavor and spiced up with cinnamon. I’ll kindly look the other way if you’d like to dive in, mouth first. Amidst all of the wings/buffalo sauce/dip/chips/serious eats, I got the biggest craving for SWEET. Sweet sweet sweet. Probably because my mouth was burning off from all the hot sauce I consumed, but that’s my own fault. I figured let me make something I can eat by the spoonful, pour over ice cream, use in recipes, and dip cookies in, all the while being fridge storable for future sweet cravings. And that, my friends, is how that craving + those thoughts + minimal ingredients = one fabulously addicting cinnamon brown sugar caramel sauce. 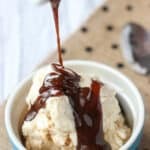 This caramel sauce comes together in less than a half hour, meaning you can whip it up after dinner and enjoy in time for a little ice cream night cap (warm sauce drizzled over ice cream? Ohmygawwwd.) It’s made with 100% brown sugar, so the flavor is ultra rich and the color is deeper than standard caramel sauce. I think I’d like to add it to every dessert or sweet treat I eat in the foreseeable future – that good. 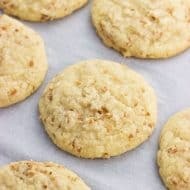 You’ll start by melting the brown sugar on the stove top until it’s gooey and smooth. Butter and cream are then added to the mix, along with a splash of vanilla extract and a bit of cinnamon. The cinnamon warms up the sauce and adds an extra layer of flavor, but really doesn’t overpower it. I love cinnamon and all, but caramel-flavored cinnamon sauce isn’t quite what I had in mind. Something I’ve found a little tricky about making homemade caramel sauce is dealing with the hardened sugar/butter/cream mixture that inevitably ends up stuck to the sides of the pan. You don’t want to waste any of that fab concoction, right? 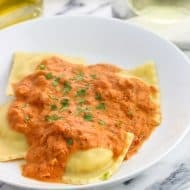 Once all of the ingredients were added, I worked my arm muscles big time and scraped off the little bits that were stuck, and set the pan back on the stove top over low-medium heat. Then it was whisk baby whisk…and then whisk some more. With some time, the lumps nearly all melted away and the sauce thickened up beautifully. Coupled with pouring the sauce through a strainer into the jar, you can kiss any of those pesky, stubborn lumps goodbye! This caramel sauce is made with brown sugar and cinnamon for a deeply colored, rich treat. 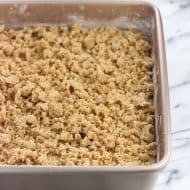 Add brown sugar to a medium-sized saucepan set over medium-high heat, and stir just about constantly until it becomes gooey and melts. For me, it started to melt after about 7-8 minutes. Keep stirring until melted sugar is smooth and no lumps remain, about 3-4 minutes more. Remove saucepan from heat. Add butter to pan and whisk until butter is melted and mixed with the brown sugar. Going very slowly as to avoid too much bubbling, pour in heavy cream while stirring. 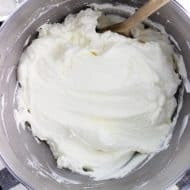 You may need to use some elbow grease in order to minimize the mixture sticking to the sides of the pan and integrate all of the ingredients. Stir in vanilla extract and cinnamon until evenly combined. 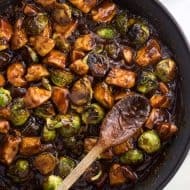 If you'd like a thicker sauce or if there are brown sugar lumps remaining, place saucepan over low-medium heat and stir frequently, taking care to ensure mixture doesn't overcook. Once caramel sauce has thickened and smoothed out to your desired consistency (see note), pour sauce into a glass container or jar and let cool sitting at room temperature. Refrigerate once cooled. If caramel sauce has thickened to your desired consistency but a few small lumps remain, pour sauce through a strainer as you add it to the jar for cooling. Sauce will harden once chilled. Simply microwave for a few seconds to warm it up to a stirring/pouring consistency. This caramel sauce makes between 1/2 - 2/3 cup in total. I want a giant bowl of this caramel right now! Thanks for the tips on getting it lump free. The cinnamon totes gives it that something special. I need this in my life. Although, might have to wait until March, I am doing a 30 day bikram yoga / no sugar / no booze challenge. 🙂 As always, amazing photos, I leaned in to lick my computer screen. LOL! 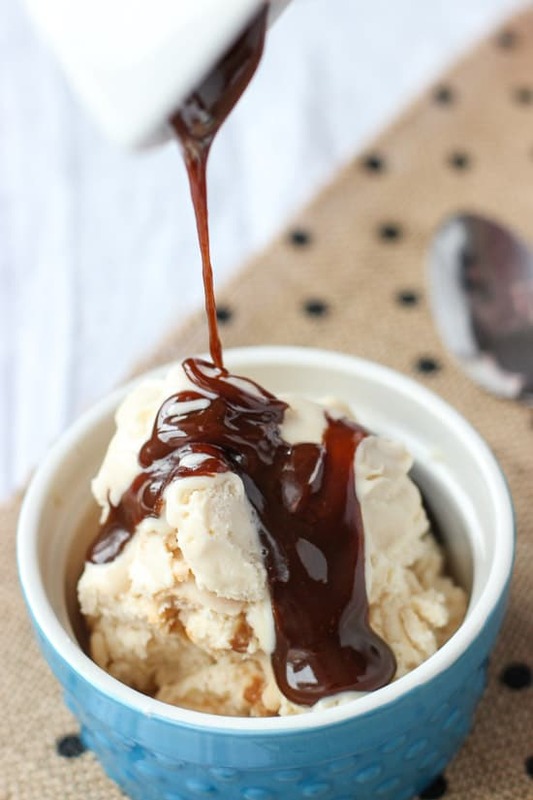 I LOVE caramel sauce and brown sugar, so this is super delicious looking! 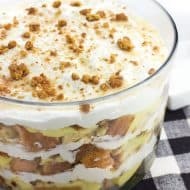 I love having a nice caramel sauce in the fridge to make desserts extra special, and this looks perfect! I’ve been so tempted to add this to absolutely everything, and I mean everything! Bread even haha It’s definitely a special touch to add to desserts! Thanks Marcie! This caramel sauce sounds amazing, Alyssa! I love your creativity with adding brown sugar and cinnamon. I think I could eat this with just my spoon! Love!! Thanks so much Gayle! Eating this by the spoonful…that happened haha! Oh my. Oh my. Oh my. I want to drizzle this straight into my mouth. Gah, this looks amazing lady! Thanks!! That may or may not have happened….haha! 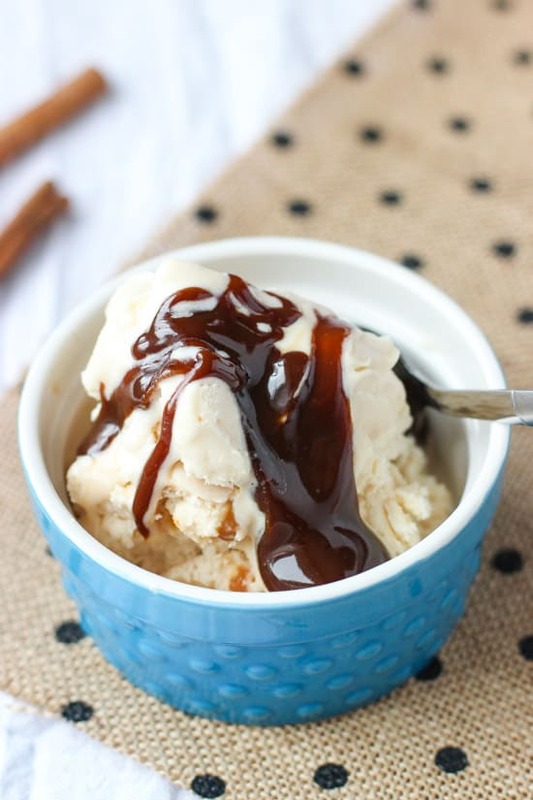 How have I never had cinnamon caramel sauce? That color is just beautiful! I bet it tastes delicious and warm. Can’t wait to make it and put in on ev-er-y-thing! Oooh it’s certainly been a popular thing in our kitchen! Haha thanks!